During the first three weeks of July, the world had been hit by one of the strongest heat wave in decades. Here are six of the most surprising side effects of this year’s heat wave. Large areas of the world are in the grip of a fierce heatwave, with some areas experiencing record-breaking temperatures. During the first three weeks of July, temperatures have been much higher than average, by several degrees in some cases. Globally, June was the second-warmest on record. The hardest hit was Asia, in particular Japan; as well as northern Europe, the US and Canada. Here are six of the most surprising side effects of this year’s heat wave. Canada recorded temperatures more likely to be associated with the Middle East or Africa. The mercury hit a scorching 47 degrees Celsius (116.6 Fahrenheit) in the capital, Ottawa, in July. Prime Minister Justin Trudeau reminded citizens via Twitter to stay safe, while sending condolences to the 70 people who have died so far as a result of the heat. 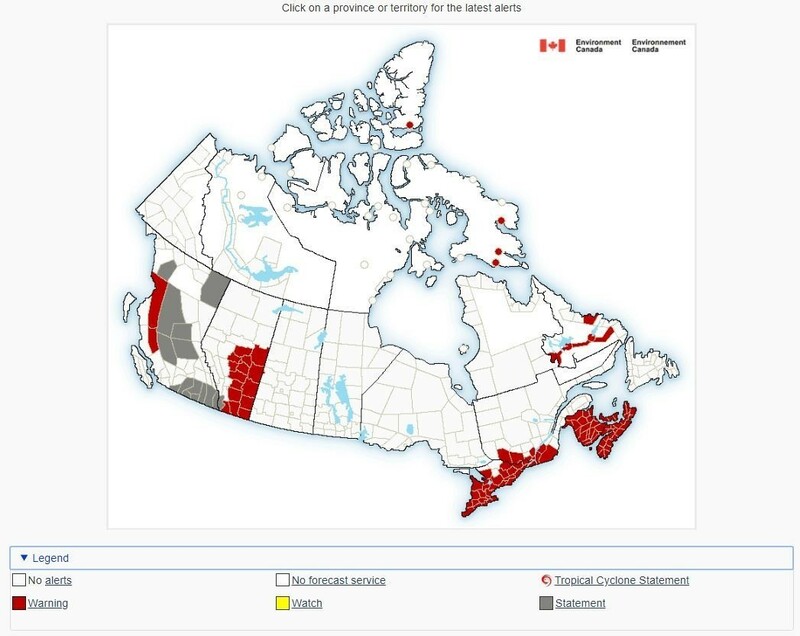 The national weather office issued heat warnings for south-eastern regions Quebec, Ontario and Nova Scotia, as well as for parts of Alberta and British Columbia. 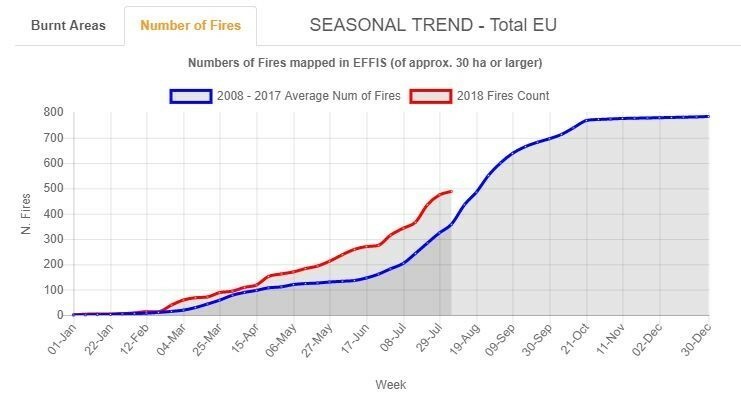 Wildfires in California, Spain and Portugal are distressing but not unusual summer news bulletins. 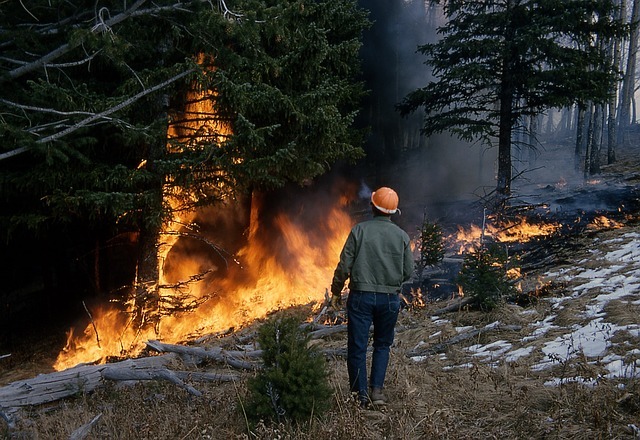 But it’s not often we hear about how Swedish and Norwegian firefighters are also struggling to douse infernos in vast areas of forest. Scandinavia has suffered an extended heatwave this year, with temperatures topping 30°C in the Arctic Circle, according to the World Meteorological Office. The soaring temperatures triggered dozens of wildfires across the country, and even the Arctic Circle didn’t escape the blaze. One of the fire stations in Lapland - a place usually associated with Santa Claus and deep snow - became one of the busiest in the country, with local volunteers stepping in to help. Italian planes and Norwegian helicopters have been deployed to help tackle more than 40 large fires across central Sweden. While its firefighters battled wildfires, one of Sweden’s mountains was busy shrinking. Sweden’s highest peak is a glacier on the southern tip of the Kebnekaise mountain. Gunhild Rosqvist, a Stockholm University geography professor, told the Guardian that during July the summit dropped by four metres, as snow and ice melted in the heat. The mountain lost an average of 14 centimetres a day and it is no longer the tallest peak in Sweden. Long hours of sunlight and high water temperatures have created perfect conditions for toxic algae. The toxic bloom thrives in warmer water, feeding on nutrients in the water that come mostly from agricultural run-off. 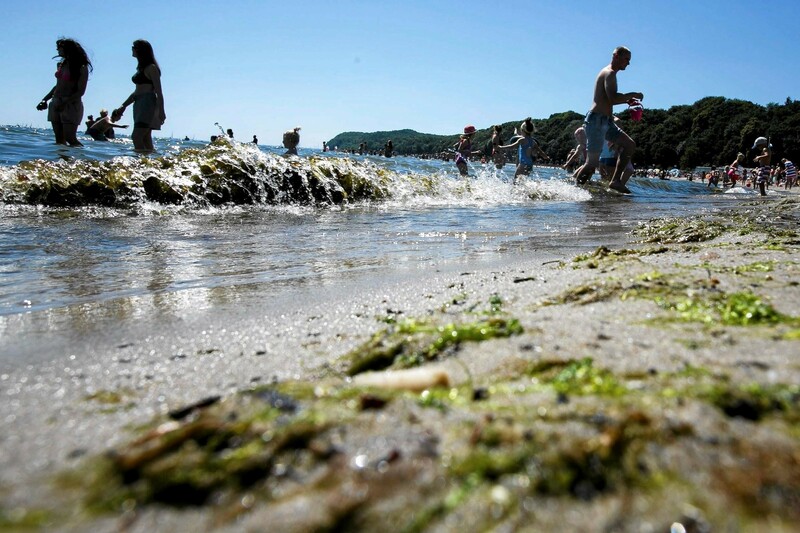 Beach-goers in the Baltic Sea have been warned not to swim, as the algae is poisonous to humans and animals. But it’s also giving scientists a new avenue of research on antibiotics. The bloom contains a type of bacteria that could prove useful in the fight against microbial resistance. Extreme heat in the United Kingdom has revealed a window into the country’s past. 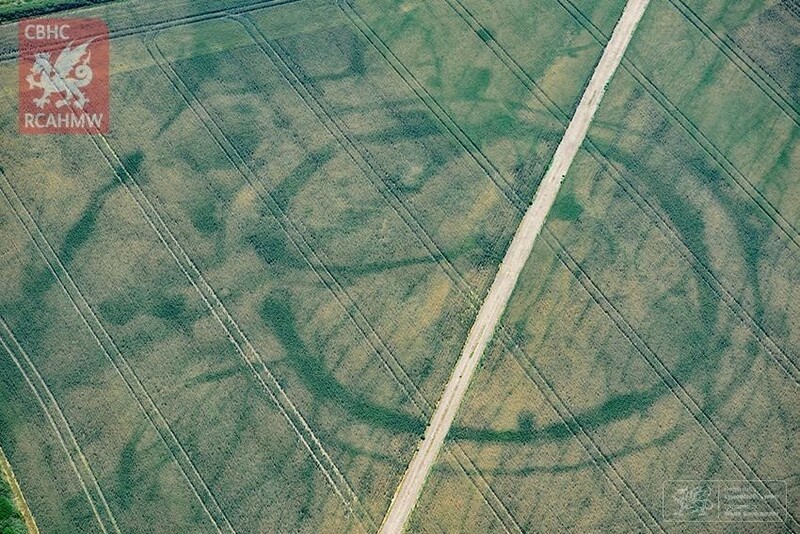 Satellite images of parched fields in Wales have revealed traces of archaeological features that are usually hidden. The remains of former castles, forts, farms, mansions, and more are becoming visible — some of them dating back to the Iron Age. In once instance, a settlement of Roman villas was revealed which hadn’t been known to exist before. The prolonged heatwave is forcing nuclear plants to scale back their energy production or in some cases, shut down altogether. Nuclear power stations need water to cool their reactors. In France, EDF nuclear plants use water from the Rhone and Rhine rivers, but the temperature of the water has been too high to cool the plants effectively. The Swedish state-owned power company Vattenfall was forced to close one of its reactors at the Ringhals nuclear plant, the largest in the Nordics. The temperature of the sea water it uses for cooling reached 25 degrees, too hot for them to be able to use. The year 2018 is "shaping up to be one of the hottest years on record, with new temperature records in many countries,” said Elena Manaenkova of the World Meteorological Organization. “This is no surprise. The heatwaves and extreme heat we are experiencing are consistent with what we expect as a result of climate change caused by greenhouse gas emissions. This is not a future scenario. It is happening now,” she added.